Use the embedded media player on the Messages page. Click the AUDIO link on the Messages page that’s associated with the particular message you want to hear. Watch at the Christ Community Church Podcast page on Buzzsprout. Subscribe to the Christ Community Church Podcast on iTunes. Save and listen via an iOS (Apple) or Android mobile device. See below for instructions on how to enable the podcast on your mobile device. In your browser, bookmark your Buzzsprout site URL. Go to the home screen you want to add the App to. Long-press any empty space to get the “Add to Home Screen” menu. Navigate to your Buzzsprout site in Chrome. Slide out the option menu. Find the "Add to home screen" option toward the bottom of the list. 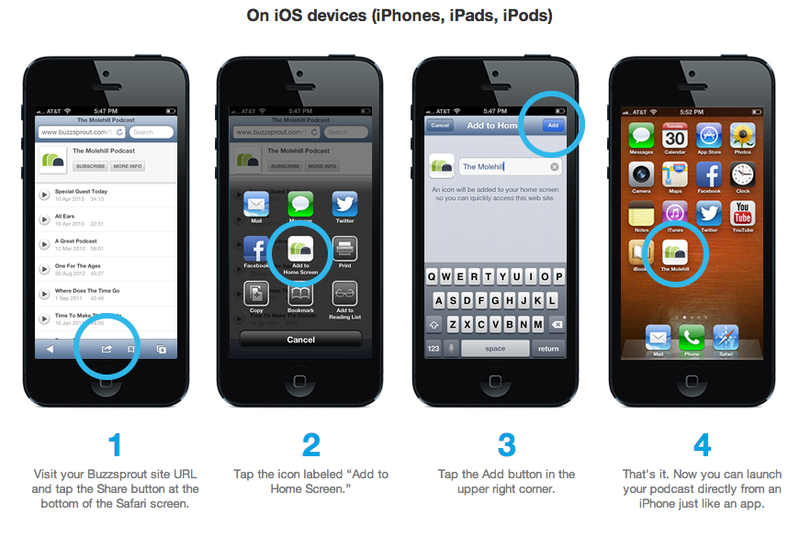 That’s it - you will see the app icon being placed on your home screen. If you would like to feed and download individual episodes to your mobile device, click the “Subscribe” button. NOTE: You will need to have a podcast app installed on your phone for the subscription to be enabled. For example, Apple's “Podcasts" app or a third-party podcast app on an iOS device, or any number of podcast apps available in the Google Play store for Android devices. For more on using podcast apps, CLICK HERE.